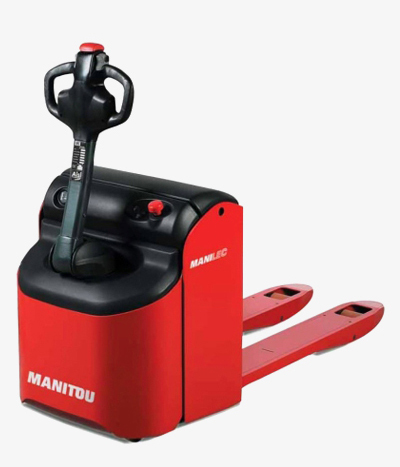 Manitou offers a wide range of pallet trucks for lifting, moving and stacking pallets. These pallet trucks are pedestrian operated, provide high-performance and accurate pallet handling in even the busiest warehouse environments! Pallet trucks are designed for heavy workload capacities and our entire range of pallet trucks comes standard with fixed or foldaway platforms. Pallet trucks from Manitou can help you cut down costs and optimise any warehouse handling task. All Manitou handling equipment, including the range of pallet trucks comes standard with a 12 month or 2 000 hour warranty, whichever occurs first. Manitou’s highly trained and experienced service division is on standby 24/7, 365 days a year to ensure maximum uptime. Manitou also has 95% parts availability on all pallet trucks spares, with a GUARANTEED 48 HOUR delivery time! Key service centres are based in Johannesburg, Durban and Cape Town. Other areas include KwaZulu-Natal, Eastern Cape, Vaal Triangle, Free State and North West Province, and the rest of South Africa.